Next up in this group of swap books, is this book from Meredeth, known alternately as yatsu or notubóc, etc. 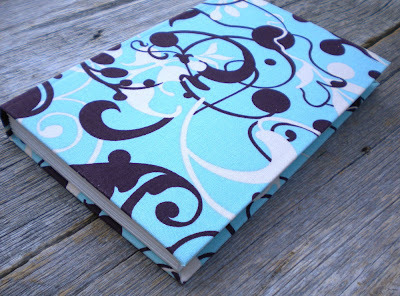 Meredeth backed this pretty cotton cloth with fusible web and tissue to make book cloth, then used it on this case-bound book. 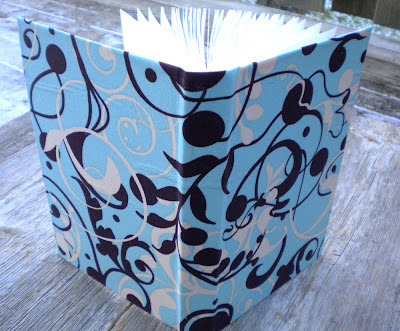 The textblock is made using Strathmore's children's drawing paper. Check out Meredeth's Etsy shop to see more of her work.